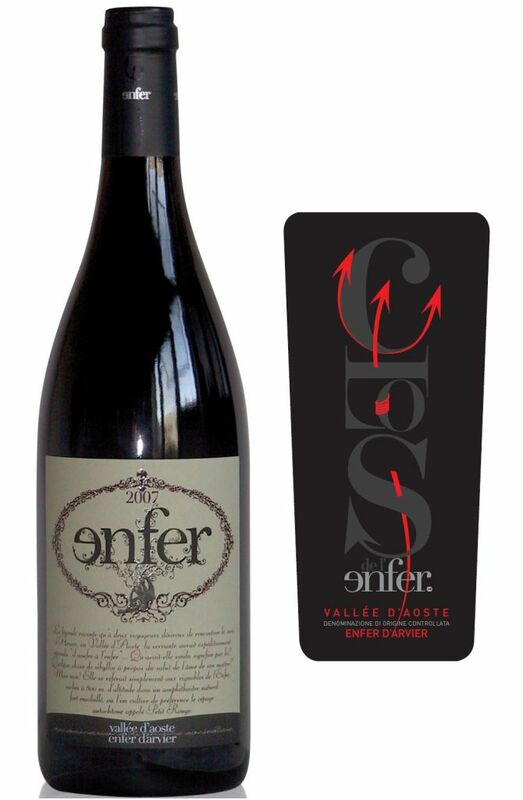 The "Enfer d'Arvier" is a red wine produced in Valle d'Aosta with the DOP mark. This typical red wine takes its name from terraces planted with vines, which are very hot in summer season, under the blazing sun, hence the nickname "enfer" (= hell). It is obtained predominantly from a local grape, the Petit Rouge, possibly with the addition of other red varieties, which can not exceed the 15% of the total. The color of the wine is ruby red, tending to the garnet with age. The aroma is delicate with a characteristic bouquet of wild roses and violets. The Enfer d'Arvier gives off to the nose delicate feelings of coffee accompanied by notes of chocolate and vanilla. The taste is dry, velvety, full bodied, pleasantly bitter. Ideal with red meats, roasts and game, matches well with typical soups and cheeses or coupled with egg noodles with duck sauce. This unique wine has to be drunk "chambré", that is uncorking the bottle a few hours before pouring, which operation will be conducted at a temperature of 20-22° C.